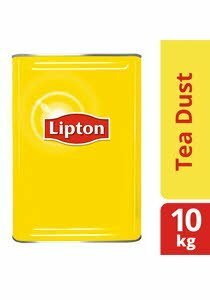 Lipton's tea dust range is a well-loved traditional blend that is ideal for establishments seeking cost-effective solutions. Producing a strong aromatic brew consistently and quickly, it is convenient for large-scale operations. Suitable for making Teh Tarik, Teh-'Si', Teh-'O' and Ice Lemon Tea. 1. Put 1 teaspoon of tea dust into a teapot for every 200ml of boiling water. 2. Leave to infuse for 2-3 minutes. 3. Add in sugar, milk or lemon if desired.